A warm and peaceful atmosphere awaits you at the harmoniously decorated Best Western Etoile Saint-Ferdinand. And our friendly, multilingual staff is ready to assist you throughout your stay. We are located close to Congress Center and Champs Elysees Avenue, a 5 minutes walk from Palais des Congres and Arc de Triomphe. 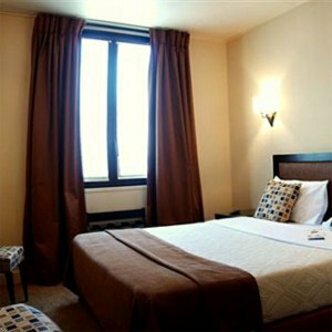 The Best Western Etoile Saint-Ferdinand offers breakfast lounge, fax and photocopy services. All our rooms are air-conditioned and equipped with satellite television, hairdryer, and safe deposit box.